National Council is the unifying voice of America’s behavioral health organizations. Together with our 1,950 member organizations, we serve our nation’s most vulnerable citizens — more than 8 million adults and children with mental illnesses and addiction disorders. We are committed to providing comprehensive, quality care that affords every opportunity for recovery and inclusion in all aspects of community life. National Council advocates for public policies in mental and behavioral health that ensure that people who are ill can access comprehensive healthcare services. And we offer state-of-the-science education and practice improvement resources so that services are efficient and effective. 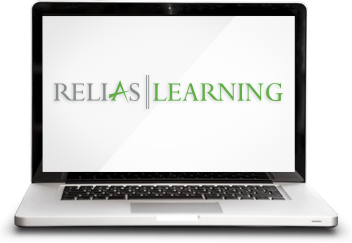 Relias Learning offers online training to senior care, health and human services, corrections and law enforcement, and intellectual and developmental disabilities organizations. It’s our mission to help clients achieve the highest quality practice and accreditation standards with online learning and compliance programs. Though the name Relias Learning is new, we’ve been delivering online training programs to organizations with specialized needs since 2002. By bringing together Silverchair Learning Systems, Essential Learning, Care2Learn, Upstairs Solutions, and the Hospice Education Network, we provide our clients with a wealth of courses and dedicated support to meet their compliance needs. Strong partnerships with leading advocacy and professional organizations enable us to create engaging, relevant, and timely learning experiences.